Here is another video player component from Flash AV Software Corp. This is the VLC Player For Android component which does hardware accelerated playback. I assume it is a wrapper component for Delphi XE5 Firemonkey and the main difference between this component and their FFMPEG based player component is the VLC player does the hardware acceleration. You also can not use a Firemonkey GUI with this component. 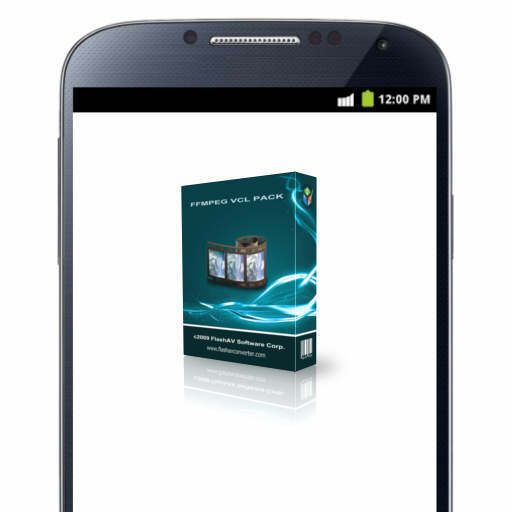 When you play a video it launches the built in Java Android GUI to take care of playback. It supports playback of video files, audio files, and network streams with all of the normal play, pause, stop, resume, step, and seek operations which you would expect from a professional component. It is a commercial component but there is a free trial so you can check it out to see if it works for you. Head over and download the VLC player trial component.